Strong hogget trade showed no sign of weakening with prices breaking centre records at some marts. By Olivia Midgley and Ewan Pate. Fewer numbers to market and more sheepmeat going for export have been attributed to the highs. 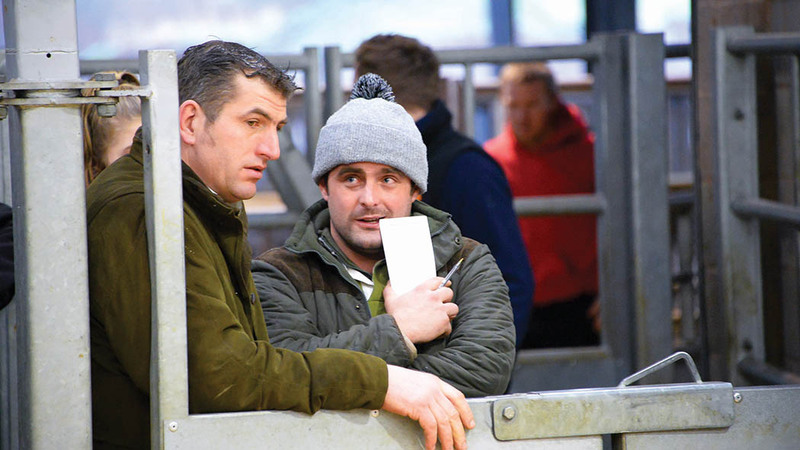 Newark mart auctioneer James Sealy said prices were ‘electric’ in all sections, with the hogg SQQ standing at 299.29p/kg after 2,637 sold and cull ewes averaging £120.75/head, with 1,107 sold. 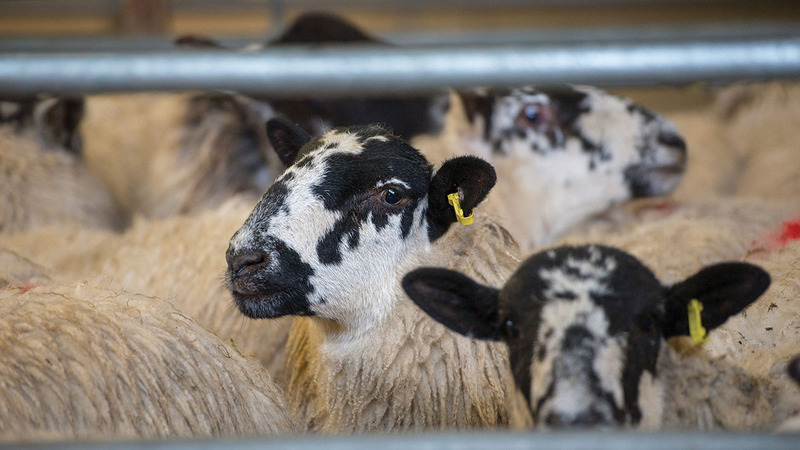 “Whether you were a butcher, wholesaler, farmer or even auctioneer here on Saturday, never in your lifetime have you seen sheep as dear as they were,” said Mr Sealy. The prime hogg SQQ at Rugby Farmers Market topped 307p/kg and £200/head on Saturday, with 1,468 sold. At Skipton, prices topped 402.8p/kg. They were scenes mirrored at Sedgemoor Auction Centre, with auctioneer Paul Ashton adding trade had been ‘strong all year’. “People have shifted hoggs as they have got fit and markets have seen lower numbers. A lot may have usually had 1,000 to 1,500 but have been getting 400 to 500. Longtown had 2,000 last week which would have been very low for them,” Mr Ashton said. This, coupled with a buoyant export market meant sheep trade in general was strong. He added: “On Saturday we had cull ewes at levels I have never seen before, averaging £99 all in. We had nearly 1,600 and people were desperate for them. We would normally have 900 to 1,000 in a week. Colin Slessor, deputy head of livestock sales at Aberdeen and Northern Marts, Thainstone, sold 4,782 hoggs last Thursday (April 5) to average 284.3p/kg and £126.21 per head. Mr Slessor said: “This area always produces good quality hoggets at this time of year with most of them wintered on swedes. We have seen increasing numbers coming forward in recent weeks and we should have a good few weeks left in the season. The reason for the strong prices, he suggested, was a combination of scarcity of supply in some English markets, reduced imports and increased exports. “It was a centre record last week and I have never seen anything like it,” Mr Slessor added. George Purves, managing director at United Auctions in Stirling agreed. His firm sold 3,700 hoggets on Thursday (April 5) to average 272p per kg with a top price of £166 per head. A small entry of new season lambs had averaged 292p/kg or £150 per head. “Ewes are making big prices too with well-finished Suffolks making £196 per head. The poor weather was a big factor last week and it restricted entries,” said Mr Purves. “Hoggs are at an all-time high and it is down to demand. The supply patterns have been interrupted twice this winter due to the weather. “The spring lambs are going to be later in building up numbers too. A lot of the storms affected the east of the country where a lot of the early lambing flocks tend to be. AHDB senior beef and sheep analyst Duncan Wyatt described prices as ‘flying’ but did not think it was because of a tight UK supply. “We still think the carry-over from last year is greater than it was the year before,” said Mr Wyatt. UK retail demand was down year on year in both the 12 and the four weeks to the end of February by about eight per cent.